Combine all ingredients in a pie pan or 8″ square baking pan and bake at 350 until bubbly. Top with a little more cheddar before baking, if desired. 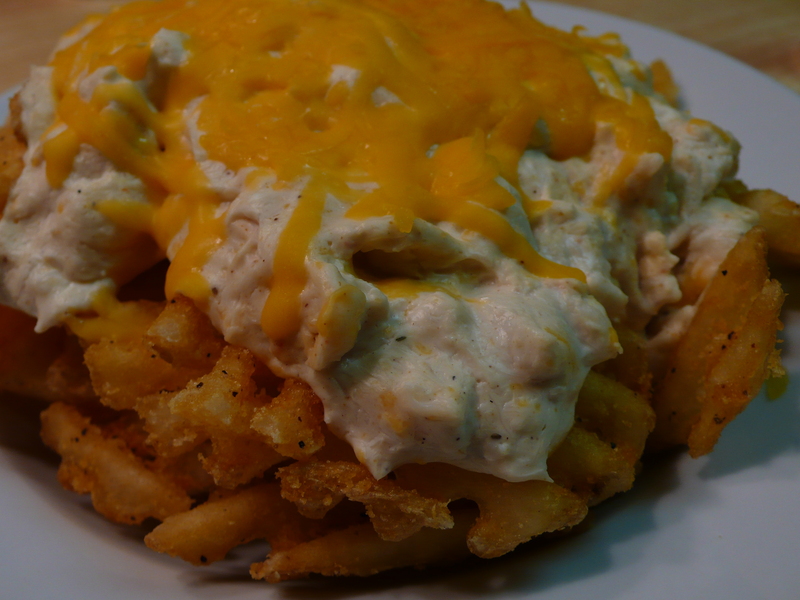 Makes a great Chesapeake Bay poutine, as pictured.